On behalf of Aller-Retour Travel, we wish to express our sincere appreciation for your professionalism, attention to detail and flexibility during the National Bank Financial President’s Club held on October 26 to October 30, 2005, in Las Vegas. Your high standards and work ethics helped us deliver a superior meeting. Thank you for the great support and enthusiasm you displayed to our group during the entire event. Lady Luck was certainly with us the day we called Tours of Distinction to request help with transfers and tours for our last group trip to Las Vegas! A phone call to Anne McCall instantly started the wheels in motion! In record time, excellent prices were quoted and accepted and confirmation was received. Anne’s warm and personalized service began immediately upon arrival at McCarran Airport. She not only did a personal “meet and greet” but she helped with the luggage and led us to our motor coach. All of the tours she arranged were well organized and timely with good equipment. Anne was available by cell phone to cater to our every need the entire time we were in Las Vegas. A phone call to Tours of Distinction will always be our first step when we make arrangements for Las Vegas! Artistours is the only Canadian Tour Operator licensed to promote Celine during her stay in Las Vegas. Artistours has within the past years evolved as the leader in the Eastern Canada for the Las Vegas market. 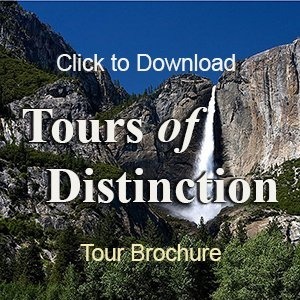 Over the past five years, well over thirty thousands Artistours passengers have been greeted by our local destination representative, Tours of Distinction. Tours of Distinction has successfully rendered this service, required by Artistours, to ensure the high level of quality service for our FIT market. Their customer service representatives have manifested themselves as being our great ambassadors for our individual passengers. Our group movements of 20 to 400 passengers were also given VIP treatment from the moment they arrived at the airport to the last minute of their stay. Their knowledge and professionalism have been a total asset in providing us with relevant and updated information on quality products for our demanding market, while maintaining our edge in this competitive industry. Tours of Distinction has been extremely beneficial to the success of Artistours. Las Vegas is constantly on the move and Artistours requires the best service at destination and Tours of Distinction provides us with these requirements.